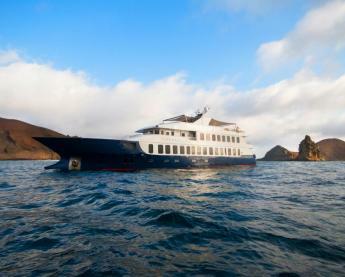 A Galapagos cruise is an unparalleled wildlife experience on planet Earth. You'll snorkel with playful sea lions, admire amusing blue-footed boobies, and marvel at ancient tortoises. Choose from only the best yachts, catamarans, & small cruise ships in the Galapagos hand selected by our team of Galapgos experts. 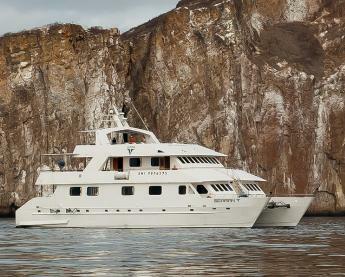 We specialize in luxury Galapagos cruises, but offer trips for all price ranges. 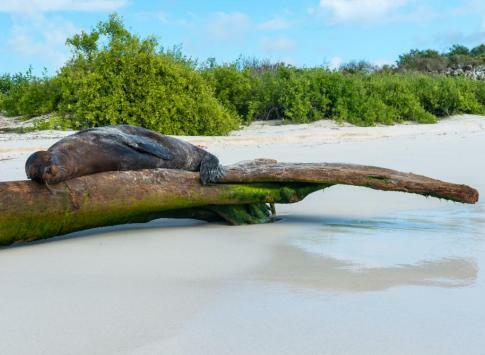 Nowadays, Galapagos tour options aren't limited to taking a cruise, as land-based tours and active adventure trips have become increasingly popular. The Galapagos were Adventure Life's first destination offered twenty years ago, and for most, exploring this archipelago is a once-in-a-lifetime experience, so getting every aspect of your trip perfect is our top priority. Contact us for a free personalized itinerary & quote. This luxury Galapagos cruise explores the central and eastern islands of the archipelago on the new Endemic Galapagos catamaran. 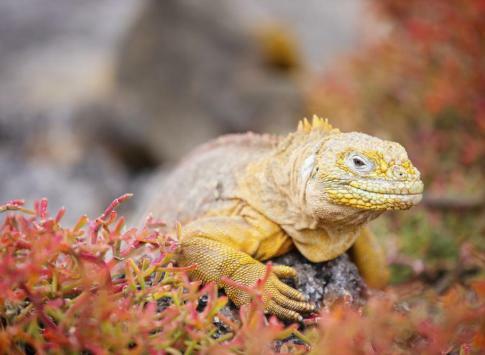 Hike sea-side trails, admire volcanic formations, snorkel & sea kayak with sea lions & marine iguanas on this Galapagos tour of Baltra, Floreana, Santiago and North Seymour Islands. 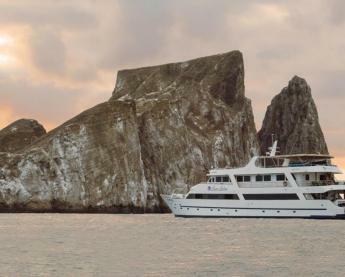 There are a lot of yacht options in the Galapagos and picking the right cruise for your Galapagos adventure can be overwhelming. 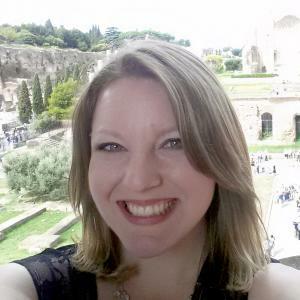 Adventure Life offers ten tips on how to make your vacation plans easier! It’s important to call early if you have specific dates as popular cruise departures fill up six months in advance. With so many boats and cruise options, it's hard to know where to start when planning a trip to Galapagos. Here are several tips and factors to take into consideration when choosing your cruise. 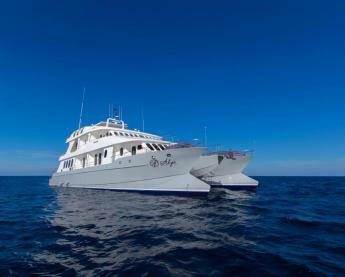 Luxury Galapagos Cruises have the top-rated naturalist guides, superb cuisine, and spacious, stylish cabins. 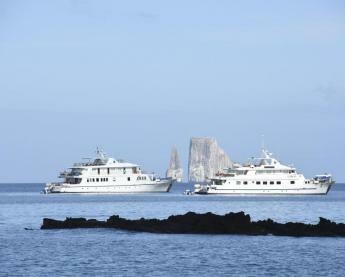 Galapagos Catamarans may have the best of both worlds. Catamarans are small 16-passenger yachts that are stable in the water and the most luxurious vessels to sail the Galapagos. 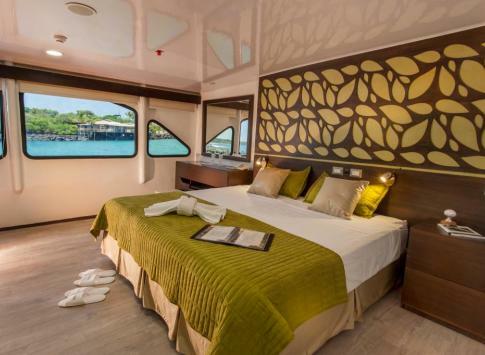 Galapagos Cruise Ships have spacious cabins and public areas. Here we list the best ships that cruise the islands. 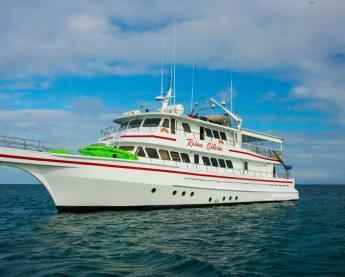 Budget Cruises make it possible to experience Galapagos on a budget. We take the risk out of choosing a trip that won't break your budget. A 4-day cruise is too short as the first and last days are used flying from the mainland of Ecuador, so you only have 2 full days on the islands, and that's not enough! An 8-day cruise is the perfect balance of enough time on the islands vs cost. The 15-day cruises offer complete circumnavigations of the islands for those with ample time and budget. Staying at a hotel on one of the inhabited islands for a few days before or after your cruise is a way to lower the cost per day. The maximum number of passengers allowed on a cruise ship in Galapagos is 100, so "large" is relatively small compared to huge cruise ships. Small yachts tend to carry 16 to 20 passengers and the larger ships carry from about 40-100. The social dynamic on smaller vs. larger ships is different, and you'll get to know your shipmates on smaller boats. The stability of a boat in the water is another important factor in the sometimes choppy waters of the Galapagos. Catamarans and larger cruise ships tend to be more stable in the water, whereas smaller single-hulled boats tend to rock more. Here's an extensive list of the best yachts, catamarans, & cruise ships hand picked by our team of Galapagos experts. Choose a luxury catamaran like the new Petrel with 16 passengers, or a romantic sailboat like the Cachalote, or a small ship like the Legend or National Geographic's Endeavor or Evolution. We'll help you find the perfect boat. 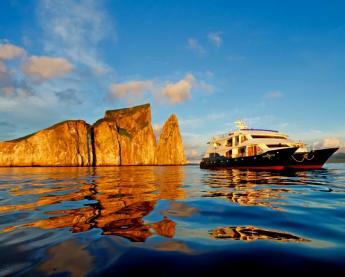 Find the best tours and cruises of the Galapagos Islands as recommended by our team of Galapagos experts. 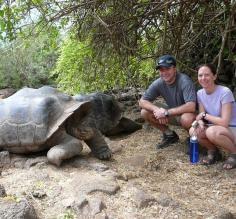 One of our Galapagos tour experts can help you find the perfect tour for your needs. Luxury Galapagos cruises have more spacious cabins, better guides and superior dining experiences for the discerning traveler. Smaller luxury yachts have a more private feel, while small ships that carry up to 100 offer a more traditional cruise experience. 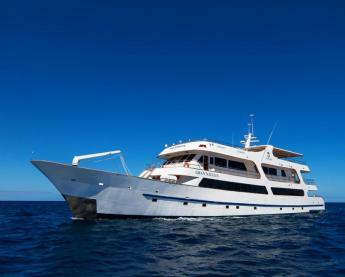 Charter a private cruise on a small luxury vessel for the ultimate family or group trip. Choose from 4 to 15 day-long cruises whose itineraries visit multiple islands. Each day you'll hike and snorkel at National Park visitor spots teeming with fearless wildlife. Small yachts carry 16 guests on average while relatively larger cruise ships can carry up to 100. 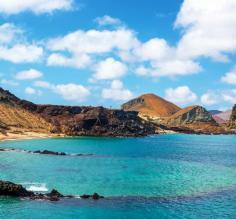 One of our Galapagos cruise experts can help you find the perfect cruise. 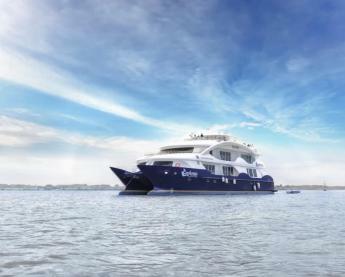 New in 2017, the Alya catamaran offers luxury cruises to the Galapagos Islands. Accommodating just 16 passengers, the Alya boasts 9 spacious cabins with private facilities and a private balcony in each. Inside are the library, lounge, and dining areas, and outside guests can enjoy an ample sun deck and Jacuzzi. The Beluga is a lovely, 110 foot, single steel-hulled motor yacht. It is fully air-conditioned and accommodates 16 passengers in double staterooms, each with private bathroom and hot water shower. 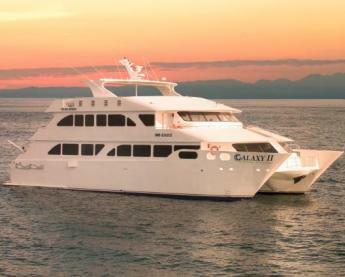 The beautiful Galaxy II is a new, eco-friendly Galapagos catamaran. 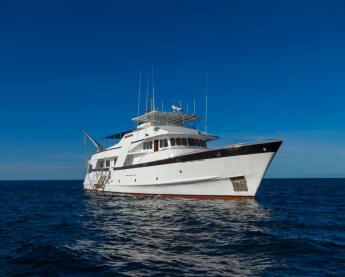 Built in 2014, she provides leisurely excursions, optimal comfort, attentive guides, and upgraded, modern social areas. 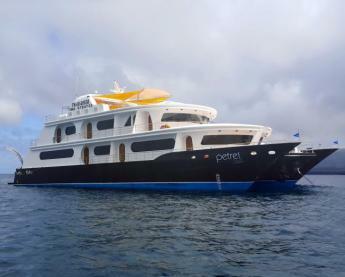 With capacity for just 16 passengers in 8 well-appointed cabins, this is an ideal vessel for your Galapagos cruise. 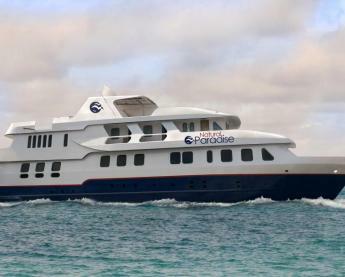 The luxury yacht Natural Paradise was built in 2015 and customized to carry 16 adventurers in comfort and safety through the Galapagos Islands. Featuring a spacious sundeck and comfortable cabins, some with private balconies and panoramic windows, the Natural Paradise cruises smoothly into islands such as San Cristobal, Santa Cruz, and Santiago. Introducing the Reina Silvia, "Queen of Galapagos yachts", a 90 ft. deluxe yacht customized to carry 16 adventurers in comfort and safety through the enchanting Galapagos Islands. 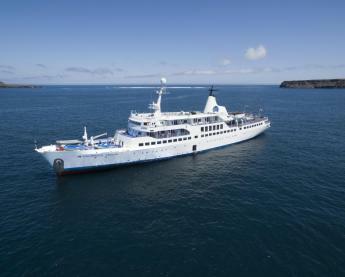 Taking a Galapagos cruise is the most popular way to tour the Galapagos Islands, but in recent years, Galapagos land tours that stay in hotels at night, then visit different visitor spots and islands during the day have become more popular. Below are several factors you'll want to consider and some advantages and disadvantages of each type of tour. Cost: In general, cruises are more costly than hotel-based Galapagos tours. That said, the less expensive boats may work out to less per day than an all inclusive tour that stays in luxury hotels. For cost, the edge goes to land-based tours. Number and Diversity of National Park Visits: On a cruise, itineraries usually visit one official visitor's spot in the morning and a second spot in the afternoon. During the night, the boats sail to the next island which saves on transportation time. On land-based tours, you lose the sailing during the night, but a well designed land-based tour can efficiently see about as much as you would on most, especially shorter, cruises. Here the edge goes to cruises. 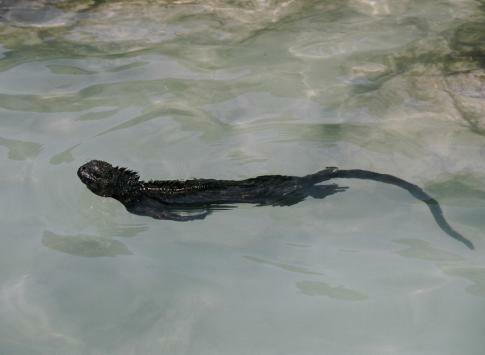 Still not sure which is the best way for you to visit the Galapagos? Contact one of our Galapagos specialists who can answer your questions and help you plan the perfect trip to Galapagos. Flights to the Galapagos Islands fly exclusively from mainland Ecuador, specifically from Guayaquil on the coast and from Quito in the Andean highlands. You will either land at the Baltra Island's Seymour airport (GPS) next to the central Santa Cruz Island or at San Cristobal Island airport (SCY) just outside of the town of Puerto Baquerizo Moreno in the southeast Galapagos Islands. Once you're here, you will be met at the airport and taken by ferry, bus, or taxi to the towns of Puerto Ayora on Santa Cruz or Puerto Baquerizo Moreno on San Cristobal Island, where you will board your yachts to begin your cruise. Some cruises arrive to one airport and leave from the other. If you're taking a land-based tour where you stay in hotels at night, you may also either fly or take a water taxi to Puerto Villamil on Isabela Island. All tours and cruises start or finish at Santa Cruz Island (at neighboring Baltra Island Airport, GPS ) or San Cristobal Island airport. Some itineraries even begin in one and finish on the other island, so take careful note of which island your cruise starts and finishes on. Isabela, Fernandina, Española, Genovesa, Santiago, Chinese Hat, Rabida, Bartolome, Santa Fe, South Plazas, North Seymour, Mosquera, and Daphne Islands. The northernmost Wolf & Darwin Islands are only visited during dedicated diving trips. 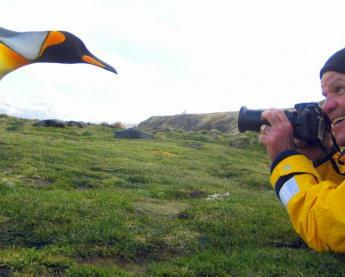 Wildlife Viewing - The Galapagos Islands are perhaps the world's premier wildlife viewing destination because of the fearlessness of wildlife, whom have never had significant predators and only know humans as peaceful camera carrying creatures. Every Galapagos itinerary is packed with opportunities to see the unique creatures that inspired Charles Darwin's theories on evolution. 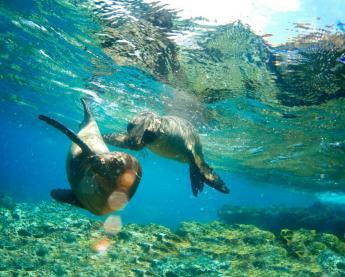 Snorkeling - The Galapagos are absolutely amazing for snorkeling. It's the only place on Earth where you can snorkel with penguins, marine iguanas and numerous endemic species such as Galapagos Sharks. 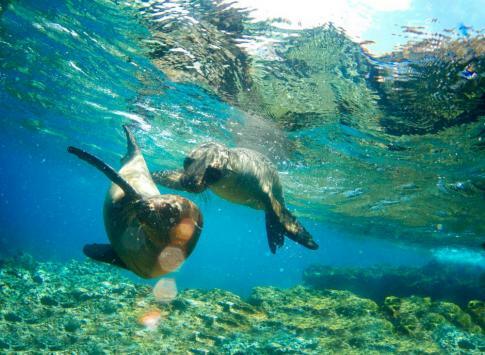 Most Galapagos cruises have several, even daily, snorkeling opportunities. Sea Kayaking - A limited number of yachts carry sea kayaks on board, so make sure that your yacht has them before reserving. The kayaking opportunities on most cruises are quite limited, so if sea kayaking is important to you, consider a multi-sport tour. Hiking in Galapagos - Most cruises do one or two hikes per day at National Park visitor spots, so your trip will likely be filled with hiking. Want more? Take our specialized Galapagos Hiking Tour for the best hiking on the islands, including the walk to the rim of the massive Sierra Negra volcanic caldera. Photography - Nowhere on earth is there such fearless wildlife that pose in front of breathtaking scenery. You'll get excellent shots with a modern mobile phone camera. If you have a DSLR, you'll only need a telephoto lens occasionally. Do consider a polarized lens for the Equatorial sun. The "must-have" landscape shot is on Bartolome Island, while wildlife photography opportunities are literally everywhere. 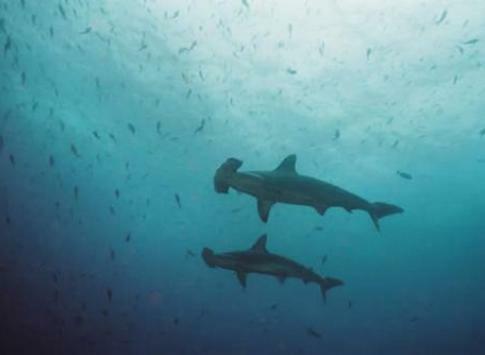 SCUBA Diving - The Galapagos are one of the world's premier diving destinations and one can choose between Liveaboard dive cruises or taking diving day trips based out of one of the towns in Galapagos such as Puerto Ayora on Santa Cruz Island. Located at the union of several major currents including the Humboldt current that brings nutrient-rich cool water far from the south and protected by the Galapagos National Park and the Galapagos Marine Reserve, the second largest marine reserve in the world. Live the ultimate Galapagos diving experience, a liveaboard cruise to the far norther islands of Darwin & Wolf where you'll see hammerhead sharks, whale sharks and more. 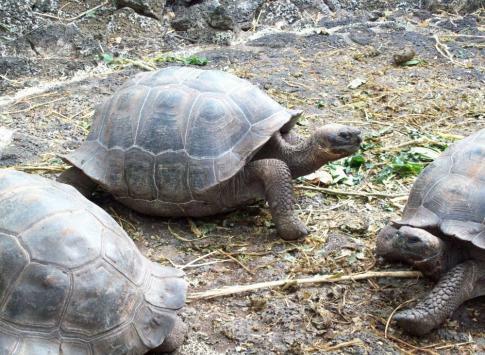 Do I need a visa to travel to the Galapagos Islands? The Galapagos are governed by Ecuador, and tourist visas are not required to visit the Galapagos from the following countries: United States, United Kingdom, Switzerland, South Africa, New Zealand, Netherlands, Ireland, Germany, Belgium, Canada, Australia. If your country is not on this list, you should check with your country's embassy for more detailed travel requirements. Tipping is always appreciated and very common in the Galapagos Islands. 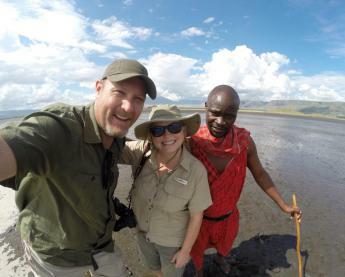 Adventure Life never requires travelers to tip, but it is a courteous gesture to show appreciation for the excellent service that we promise you will experience. The rule of thumb in the Galapagos is tipping $7-$10/ person/ day for the guide and $10-15/ person/ day for the crew. For cruises, there is typically a gratuity envelope that you can leave in the cabin on the last day. If you eat at a local restaurant there will likely be a 10% service charge included in the bill, in which case tipping isn’t necessary. Most plugs in hotels and boat cabins are two flat prong that run on 110-volt electricity like those in the United States and Canada. While there are cyber cafes in the port cities like Puerto Ayora on Santa Cruz and Puerto Baquerizo Moreno on San Cristobal, you shouldn’t plan on being connected for most of your trip. Certain boats and hotels do feature business centers or WiFi hotspots, but even the most luxurious cruises sometimes do not offer internet access on board. If this is a concern, we can help you figure out which options allow the most internet access. Can I use my cell phone while in the Galapagos Islands? You will need a GSM phone that is either unlocked or has a roaming option on your plan. In the port cities, if you have a local SIM card for your phone from Claro, Movistar, or CNT, you will be able to make calls. However once you are at sea on a cruise or if you are at some of the more isolated visitor sites, it is unlikely that you will have any signal at all. It’s not uncommon to go several days or up to a week out of range, so plan to be disconnected. The toilets on cruises and hotels are all standard flushing units. At certain visitor sites, it’s possible that there are pit toilets or no toilets at all on the visitor sites where only trails have been built. In any situation, you should make sure to have hand sanitizer and toilet paper on hand just in case. 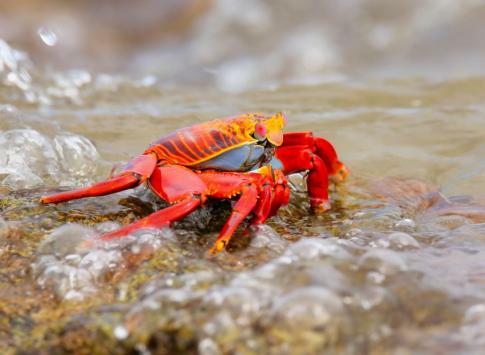 *The Galapagos Islands are over 600 miles from mainland Ecuador, so the prices of everything that is not grown or caught around the Galapagos Islands themselves must be adjusted for transportation costs and local taxes. You should not drink the tap water in the Galapagos Islands, however we make sure that there is always safe bottled water available for you. Most water on yachts and ships is purified but sits in large tanks, so it’s not usually a good idea to drink it from the tap. It’s generally okay to brush your teeth with the water from the ships, but using bottled water is always the safest option. You can use the tap water to shower, wash your hands, and wash dishes with a strong antibacterial soap as long as you let them dry completely before using. Are credit cards accepted in the Galapagos Islands? Are there ATMs? The only places where you’ll find an ATM or stores/ restaurants that accept credit cards are Puerto Ayora on Santa Cruz Island and Puerto Baquerizo Moreno on San Cristobal Island. It’s a good idea to withdraw money while in mainland Ecuador before departing for the Galapagos just in case the ATMs aren’t working or if you don’t have an opportunity in the Islands to withdraw money based on your itinerary. Do I need to purchase travel insurance before heading to the Galapagos Islands?